While searching for crock pot recipes, I came across one for a Chocolate Chip Peanut Butter Cake. Cake in a crock pot? With peanut butter and chocolate chips? Sweet…sign me up! I was excited to recreate this recipe using healthier ingredients. Without a doubt, this cake is delicious. But aren’t crock pot recipes supposed to save me time? Isn’t that the point? This recipe took extra steps and caused me to have to stand on my head while pulling a muscle to search in the back of my corner cabinet so that I could find a baking dish that would fit down into my crock pot. And then it took four hours to bake. FYI: Laura does not make recipes that take lots of time. Laura likes to eat healthy and save time. And apparently, Laura occasionally talks in third person like Elmo. Anyway, while this cake recipe is very easy to mix up, I think it would be even easier if I threw it directly into a cake pan and baked it in an oven. When might I want to make this cake in a crock pot? Maybe if I need to go somewhere and want to come home in four hours to a freshly baked cake. Or maybe if I’m having company and am busy, I could get the cake put into the crock pot so that I could then focus on the roast beef. Or, I could see the crock pot being an option if it’s really hot outside and I don’t want to heat up my house by using an oven. Yes, those would be the times I would use my crock pot for this. Otherwise, it’ll be a conventional oven at 350° for me. Cream together melted butter, sucanat, and peanut butter with an electric mixer. Add eggs, sour cream, and vanilla. Blend in baking powder, baking soda, sea salt, and flour until well combined. Fold in 3/4 cup of chocolate chips. Line crock pot with foil. 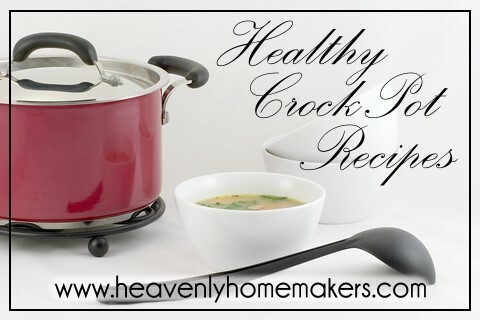 Pour batter into a 2 1/2 or 3 quart baking dish that will fit inside your crock pot. Spread batter into the baking dish, then set it down inside the crock pot. Sprinkle on remaining chocolate chips. Cover loosely with 4 layers of paper towels, leaving the lid off the crock pot. Cook on high for four hours, testing doneness with a toothpick. Pour batter into a greased 8×8 inch baking pan. Sprinkle on remaining chocolate chips. Bake in a 350° oven for 20-25 minutes or until a toothpick inserted in the middle comes out clean. And now, I can not get the sound of Elmo’s voice out of my head. Laura is not a big fan of the sound of Elmo’s voice. Kate thought this sounded like a good way to use up the extra whole wheat that got milled from bread baking. The cake’s in the crock pot now. Kathy used butterscotch chips instead of chocolate because, because, well… Kate doesn’t much like regular chocolate (please don’t disown her – she DOES like white chocolate and very dark chocolate.) She’ll let you know how it turns out in a few hours! I just made myself a note the other day to throw something together with PB & chocolate! This will work! Anita feels that Laura is her friend! Let’s save time and energy together…cake goes in the oven for sure!! I ade your applesauce cake yesterday. I doubles the recipe and used coconut oil. I also chopped up an apple and put in it. It was a big hit. I made some into muffins and gave our pastor and his wife some for pastor appreciation. I also made some cookies today and will give them some of them also. They were not healthy ones though. I made some for my son’s employees and froze them. He will take them back with him when he comes home for Thanksgiving. I did freeze the loaf of the applesauce bread to send to his crew. OK, update – the cake cooked in the crockpot is done. I’ll do it in the oven next time :-) The outside of the cake is tough. 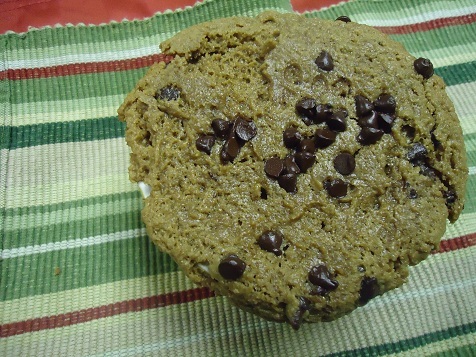 The flavor is good but the texture of oven baked cakes is better than this crockpot cake. Kate thinks this recipe should be moved from the Crockpot category to the Oven Cake category. Jenny makes banana bread in the crock pot all the time in the summer when she doesn’t want to heat up the house with the oven. If Jenny were making this cake tonight she would definitely bake it in the oven! Brighid would try this at a long 4-H meeting -cake at the end of a long project day! or when her oven was full of something like a large turkey or two sheet pans full of roasting tomatoes. Debra thinks Laura is funny. Debra also thinks cakes should not take 4 hours to bake unless under unique circumstances, so, Debra would use the oven. That is how it is done in Debra’s word. Da da da da.